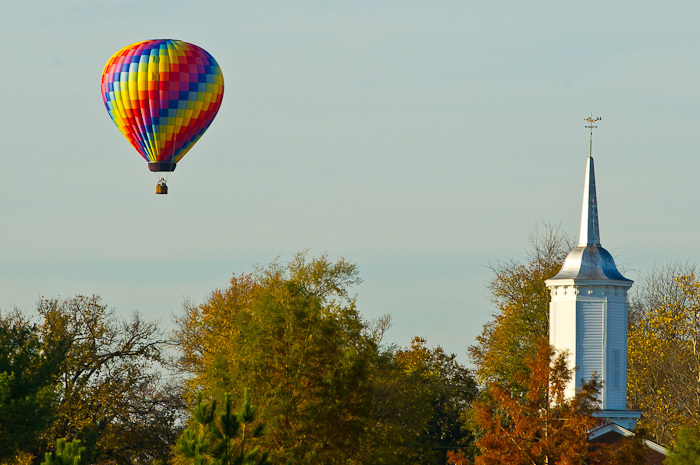 This time the balloon sailed near the Middleburg’s Emmanuel Episcopal Church, so I was able to merge the two into the same frame. Again, the balloon floated toward Glenwood Park and out the Foxcroft Road to the north. While I waited for Cam, I watched it grow smaller and smaller on the horizon until it disappeared into the tree line. One of these days I do want to be on the other side—looking down with my camera from the basket and enjoying the view from above.